Global shipments of augmented reality and virtual reality headsets will hit 13.7 million units this year as they ride a compound annual growth rate (CAGR) of 56.1 percent on their way to 81.2 million shipments in 2021, according to a new forecast from International Data Corp. (IDC). VR headsets will account for 90 percent of those sales, and AR will account for the rest until 2019, with AR headsets experiencing exponential growth in the final two years of the forecast to capture a quarter of the market in 2021. 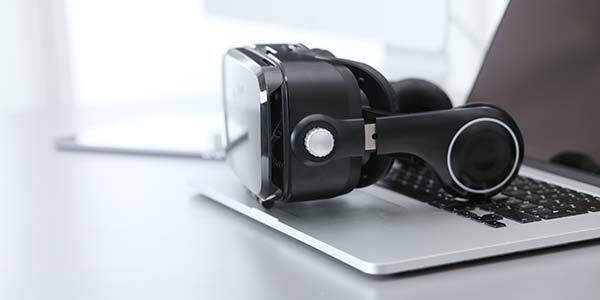 "AR headset shipments today are a fraction of where we expect them to be in the next five years, both in terms of volume and functionality," said Jitesh Ubrani senior research analyst for IDC Mobile Device Trackers, in a prepared statement. "AR headsets are also on track to account for over $30 billion in revenue by 2021, almost twice that of VR, as most of the AR headsets will carry much higher average selling prices with earlier adopters being the commercial segment. Meanwhile, most consumers will experience AR on mobile devices, although it's only a matter of time before Apple's ARKit- and Google's ARCore-enabled apps make their way into consumer grade headsets." Screenless viewers will hold the majority share of sales throughout the forecast, though the company predicts that tethered head-mounted displays will gain share over the next two years. Commercial use of augmented reality headsets will account for 71.1 percent of sales this year, growing to 82.5 percent in 2021, according to IDC. Virtual reality headsets, on the other hand, will mostly be sold to consumers throughout the forecast, with only 21.8 percent of VR headsets going to commercial purposes this year and 27.8 percent in 2021. Though augmented reality is likely to experience long-term growth and to change the way businesses and consumers use computers, IDC predicts that virtual reality will drive changes in computing in the short term. Price reductions will help to drive sales in the last half of 2017, mitigating a slow start to the year for AR and VR sales. "Virtual reality has suffered from some unrealistic growth expectations in 2017, but overall the market is still growing at a reasonable rate and new products from Microsoft and its partners should help drive additional interest in the final quarter of this year," said Tom Mainelli, vice president for Devices and AR/VR at IDC, in a prepared statement. "As we head into 2018 we'll see additional new products appearing, including standalone headsets from major players, and we expect to see a growing number of companies embracing the technology to enable new business processes and training opportunities."